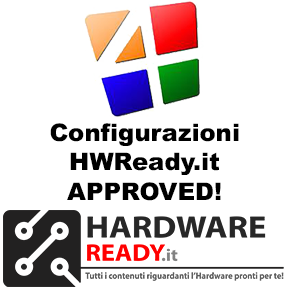 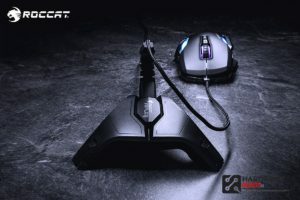 Hamburg, 27th November 2018, ROCCAT announces the availability of a range of unplugged products. 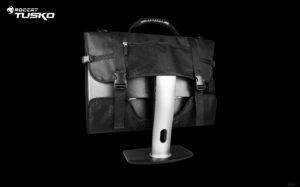 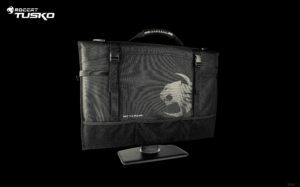 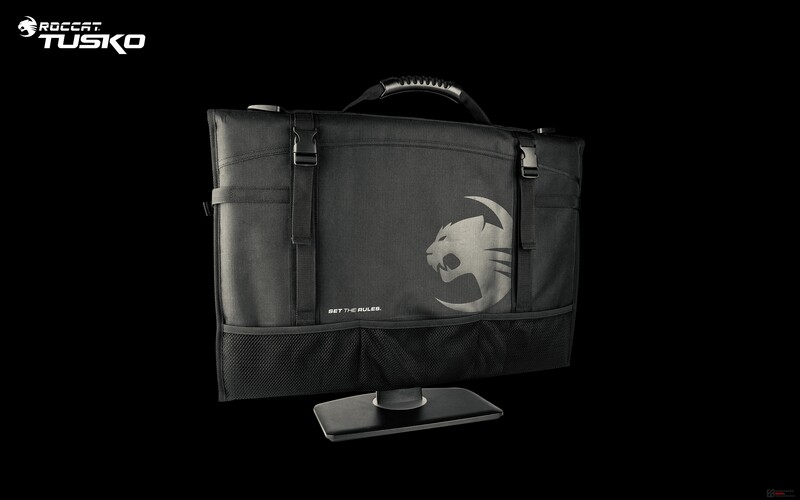 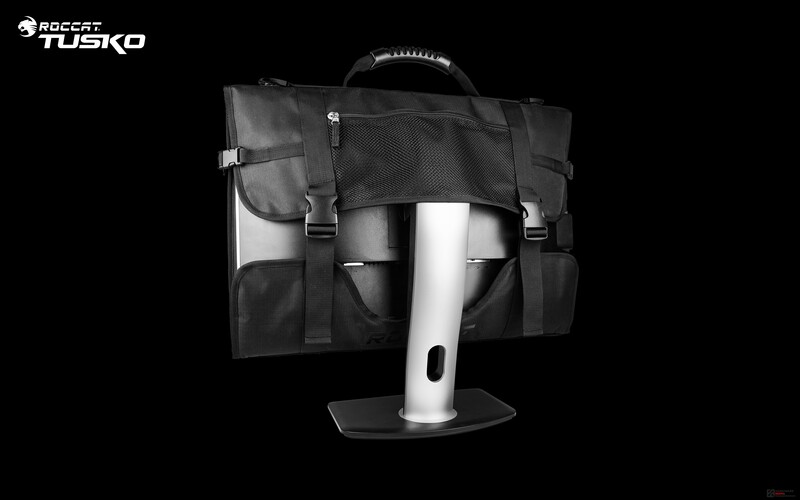 The ROCCAT Tusko, a widescreen monitor bag, the ROCCAT Modulok headset stand and finally the raw version of the ROCCAT Apuri. 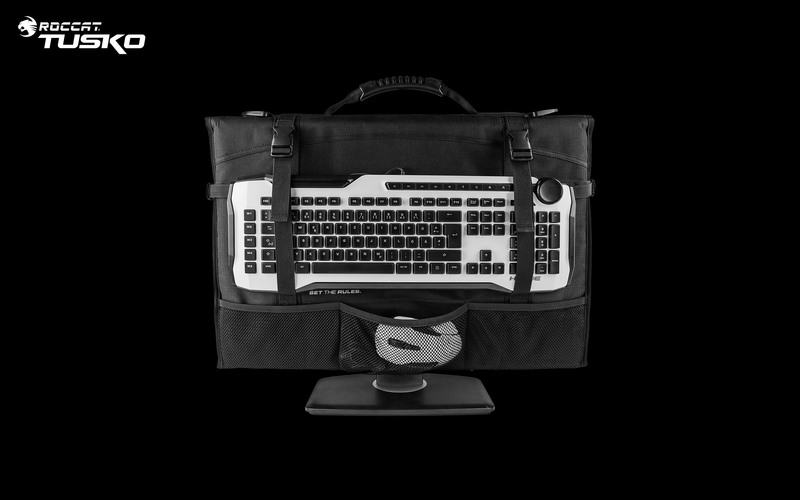 All three products are available in stores now represent the perfect accessory for gamers on the go and those who want to streamline their battle station setup. The ROCCAT Modulok offers a station for your headset. It’s as sturdy as it is elegant and won’t wobble thanks to its rubberized feet. 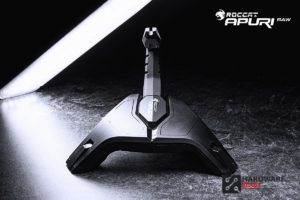 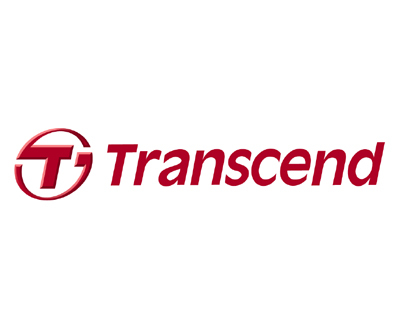 It is designed for rapid drop-down or pick up of any headset. 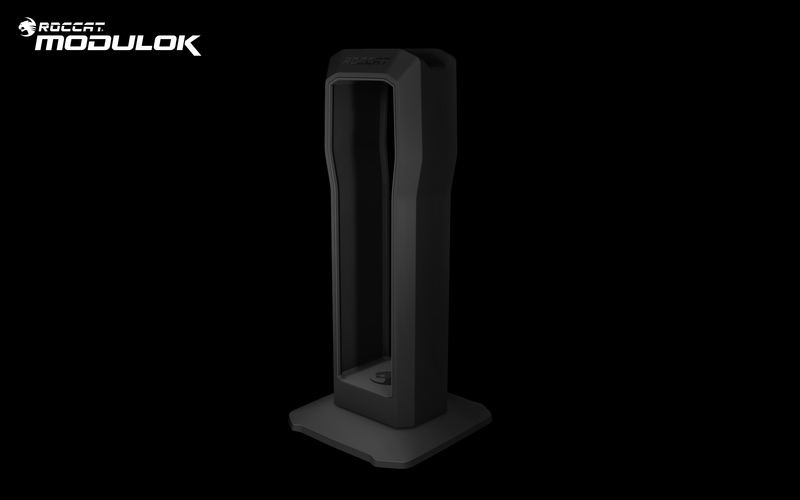 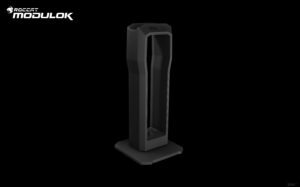 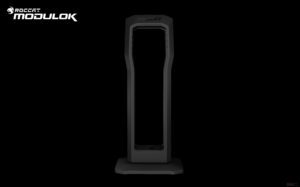 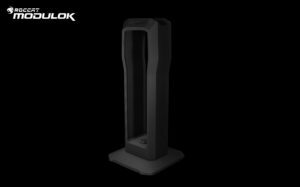 The Modulok is available at 29,99 €/ 29.99$. 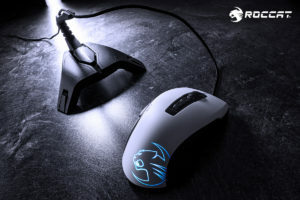 The ROCCAT Apuri Raw mouse bungee features an eye-catching design and brings extra support to any gamer’s setup by keeping the mouse cable out of the way and ensuring it doesn’t snag. 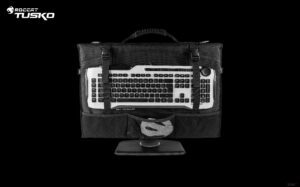 The Apuri Raw is available at 19,99 €/ 19.99$. The ROCCAT Tusko is aimed at gamers who like LAN parties or who simply like bringing their gear with them. 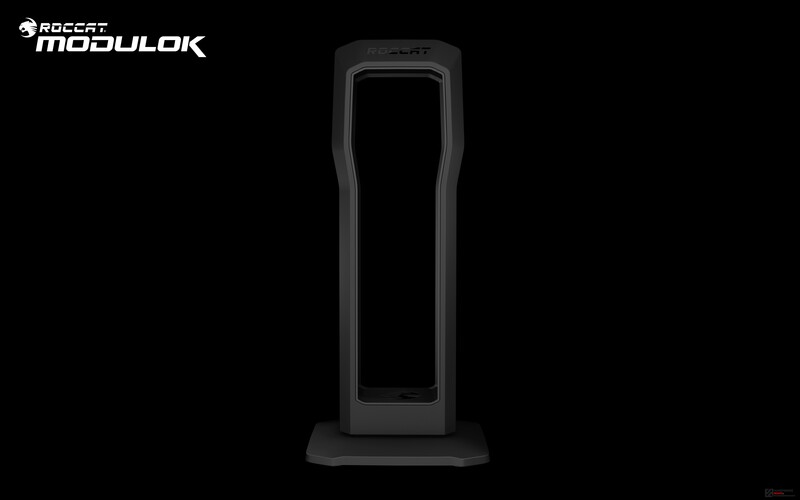 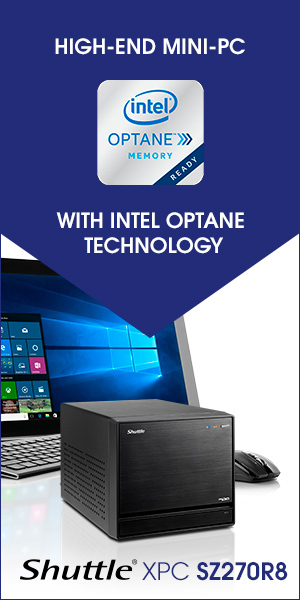 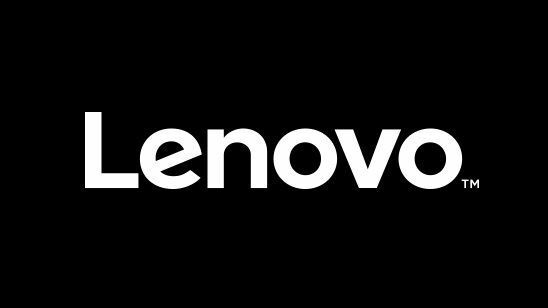 It’s made to hold your widescreen monitor and offers the highest level of protection thanks to its integrated rigid plastic plate. 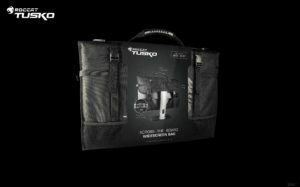 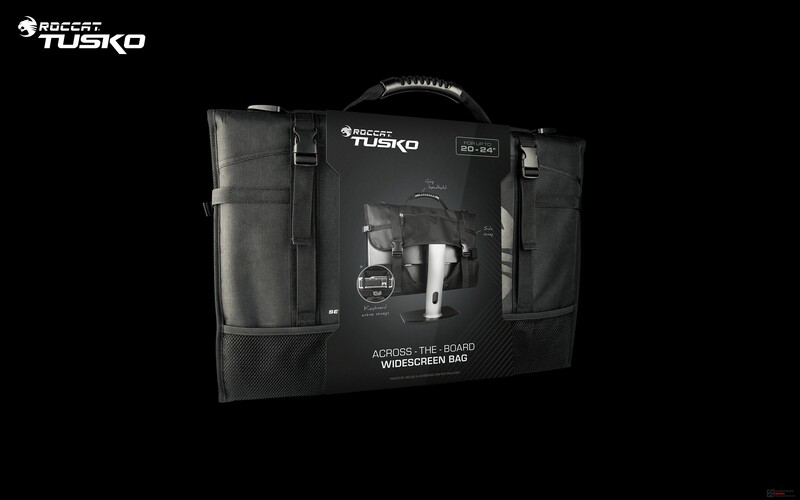 The Tusko is available at the retail price of 69.99€/ 69.99$.